This is One Conference You Don’t Want to Miss! Sign Up Today! 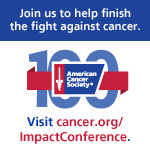 Tackle the most intriguing topics and issues in your workplace and profession in the American Cancer Society Corporate Impact Conference’s engaging, information-packed sessions that are broken into three tracts: Marketing, Corporate Citizenship, and Health and Wellness. These intimate workshops offer unique, in-depth approaches to understanding the workplace issues that affect your organization’s viability in today’s business environment, and will help you master the most important workplace trends. Stephanie Smirnov of Devries PR, Chief Executive Officer, U.S. of DeVries Global, a public relations micro-network with offices in New York, Beijing, Shanghai, Guangzhou, Singapore, and London just to name a few. These panel discussions and presentations will help you leave with insights and strategies on how to be as successful as possible in reducing the effects of cancer in your organization. Download the agenda outline and the workshop session overview to get a glimpse into the program format, which combines the latest solutions, valuable tools and effective strategies. Join our LinkedIn group for news and highlights about the conference. 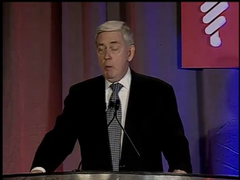 Watch an excerpt from the opening session of the 2011 Corporate Impact Conference, and see a video from an American Cancer Society staff member previewing this year’s conference. Highlights for this year’s conference include a Make Some Noise Rally, special 100th Birthday Celebration, exhibit booths with a food demonstration from cookbook authors for the new American Cancer Society cookbook Maya’s Secrets, and special recognition and awards. The Corporate Impact Conference is held on June 12-13 in Denver, Colorado – reserve your seat today!